A wonderfully diverse Museum, with three wonderful exhibitions, extensive grounds and a brand new visitor centre that will cater to your groups needs! The standard admission price for a pre-booked, pre-paid group is £9.00 per head. 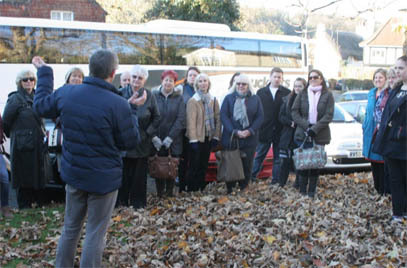 This includes a introductory talk and admission to the museum and gardens. Tours and catering options can be added (Valid March-October). During the winter months (November, December, January and February) admission is £7.00 per head. This includes a introductory talk and admission to the museum and gardens. Tours and catering options can be added. An introductory talk is offered to all groups at no extra cost, and will give a further insight into the history of the house and the three explorers of the natural world that we celebrate. 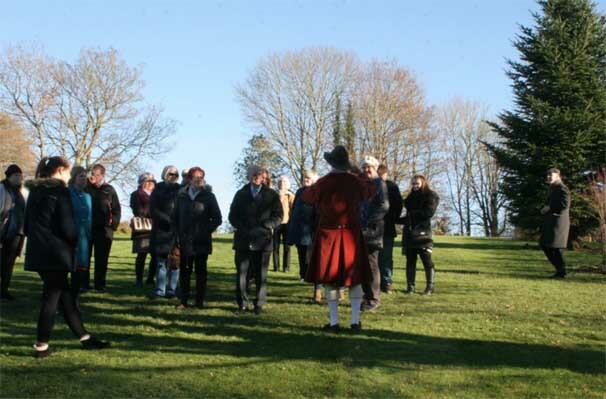 With over twenty acres of ancient parkland and some five acres of restored gardens with a focus on 18th century planting, a garden tour is a fascinating way to learn about Gilbert White the Gardener and the plants and features described in his writings. 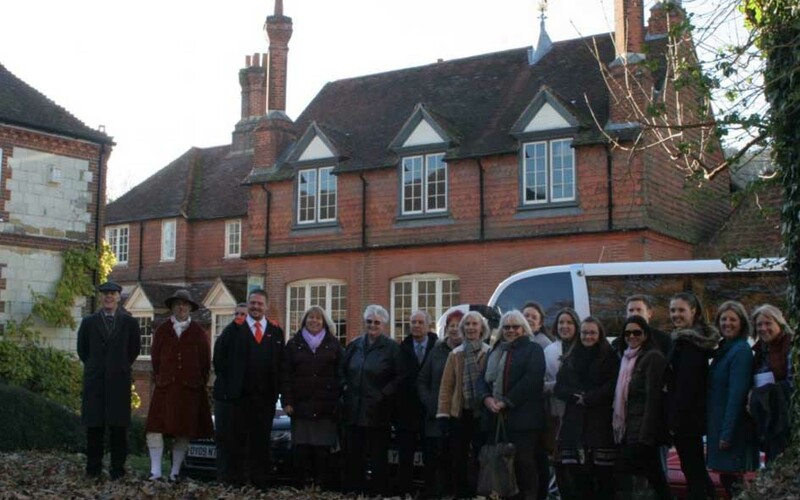 Get a special insight into the house and galleries, with an guided tour. Only available to groups under 15 people due to size of the rooms. All Tours are by prior arrangement only. We charge £2 per person on top of your admission package. Our cafe/bistro will be launched in April 2018 and will specialise in locally sourced food made on site. We can offer pre-booked catering arrangements . Please book and pay for this no later than 14 days before your visit. For options and prices see the Groups E Brochure 2019. All members of the group must be served the same option. Depending on availability larger groups may have to be divided into two sittings. Your group can also visit the cafe/bistro without a prior booking, however please note that at times the café can become busy, and it may not possible to seat all members simultaneously. The village car park is a 3 minute walk from the House. It is situated just off the main road behind the Selborne Arms. The car park can take cars and coaches; when it’s busy visitors can be dropped outside the House and coaches parked in lay-by’s approximately a mile distant either North or South of the village. On arrival at reception members of your group will be given stickers which allow them to come and go as often as they please on the day of their visit. 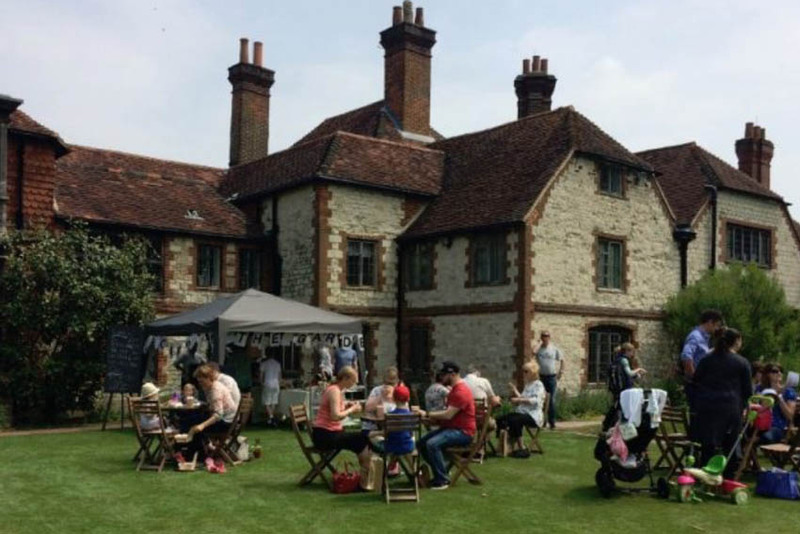 The pretty historic village of Selborne is located within the South Downs National Park. There are superb walks, including up Gilbert White’s ZigZag path on to the Selborne Hanger. 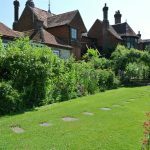 There is a pottery, a selection of village shops, and a café on the high street, and The Selborne Arms Pub. The village church, where Gilbert White is buried, has two stained glass windows commemorating him, is directly opposite the Museum, and well worth a visit. Alternatively you could link your visit with one of our neighbouring attractions, click here to see what is near by. We require payment in full for group admission, tours and catering a minimum of fourteen days prior to your visit. 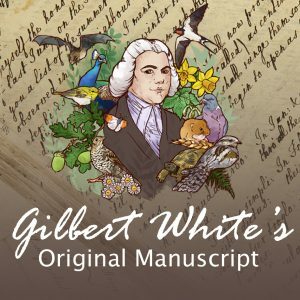 Please send a cheque payable to ‘Gilbert White & The Oates Collections’ or telephone 01420 511275 to pay by debit or credit card. Please contact us if you have any queries or wish to make a booking. Our aim is to make your day out as enjoyable and stress-free as possible. Let us know if your group have any specific interests as we aim to be flexible and for you to get the most out of your visit. Drivers and group Organisers can enjoy free admission. Drivers can also collect a voucher to allow them 20% discount in our café. Gilbert White & The Oates Collections is a great place to rest on a long journey situated between the A3 & The M3. We have a café, toilets and shop available to use free of charge. Simply contact us via e-mail or call 01420 511275 . Once a date has been agreed, please complete and return the attached form to confirm your booking. Please do not wait until the last minute send in the form, even if you are unsure of the details. Our opening times are listed on our website, however special arrangements can be made out of hours.